Finding the right aviary for your pet birds has never been easier. 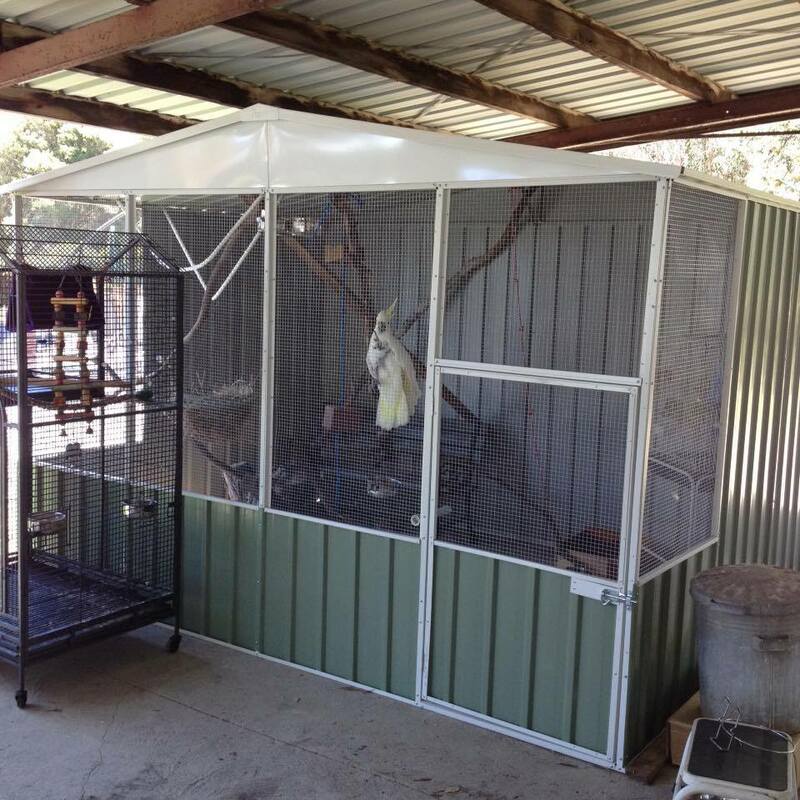 And with aviaries coming in various shapes, sizes and materials your choices are not limited. 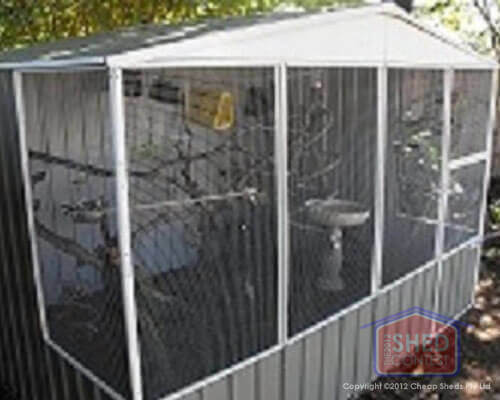 We guarantee we could find an aviary to suit your home and your birds or pets requirements (You may not want an aviary for birds, but maybe for chooks and other animals. 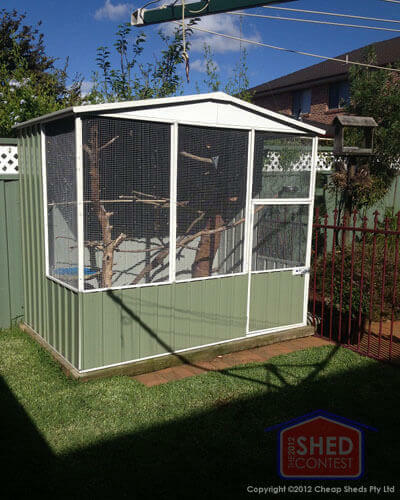 Either way Cheap Sheds has an aviary to suit your needs). How many and what type of birds do you have? 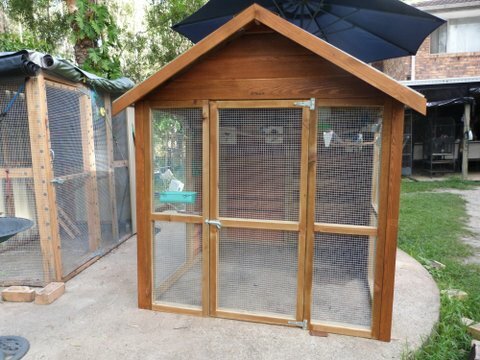 Where in your yard will you put the aviary? Is the aviary secure enough to keep pests out and strong enough to handle harsh weather? What Size Bird Aviary Do You Need? Before deciding on an aviary you need to look at how many birds you’d like to put in there. Also you’ll have to look at the breed and determine whether they like to ‘roam’ or are just happy swinging on a perch all day long. All birds have different personalities so you want to make sure you get an aviary that keeps your feathery friends calm and relaxed... not stressed out and chirping all day long! 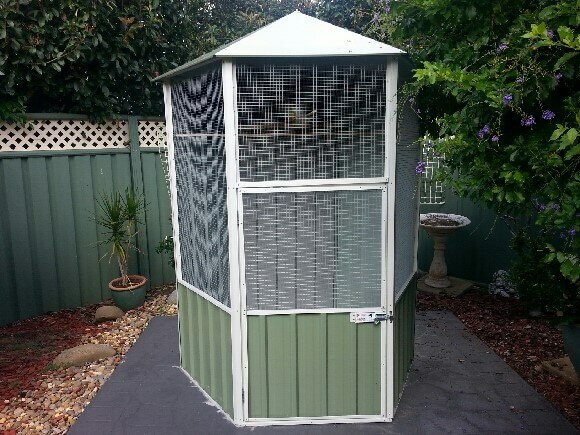 Where Will You Put Your Bird Aviary in the Backyard? 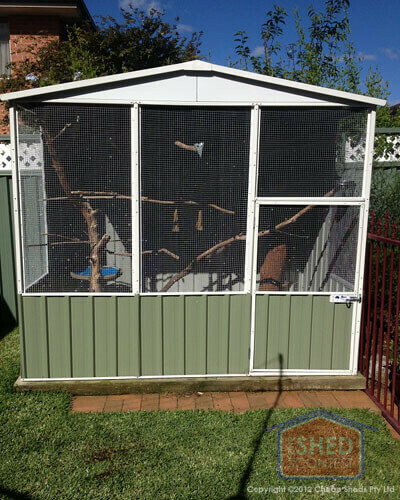 Once you know what size aviary you need, you’ll need to find a location where to put it. Sun – Will the aviary get too hot during the day or no light at all? Rain – Is it protected from rain because you don’t want your birds getting wet? Wind – Is it safe from flying objects if you were to have strong winds or storms? Inconvenient – Will it be in the way or block access to any areas? These are all important factors when deciding on a location for your aviary. 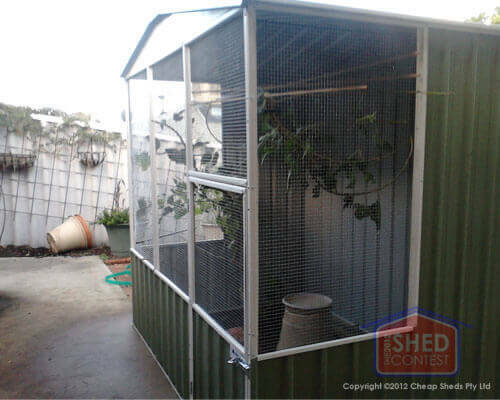 What Types of Bird Aviaries Can I Choose From? Once you’ve decided on a location you then need to look at the type of aviary you would like. The two main kinds are Timber and Steel Aviaries. Both are tried and tested as suitable homes for pets. 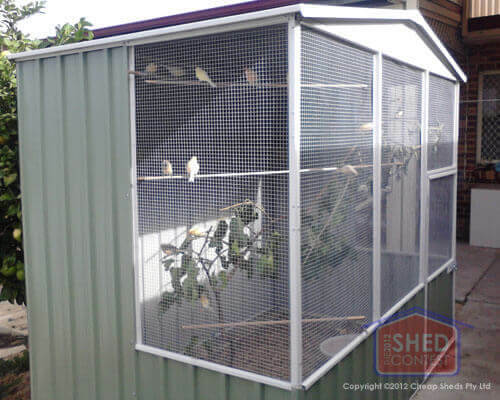 Steel Aviaries - These are generally more common due to their affordable prices and bigger ranges. They are weather proof and can look great in any backyard if well maintained. Always opt for a good quality brand or well known because the cheap imports can be a risk and poor quality. They also come in different shapes and with different features so it's best to browse our options and determine which will suit your home best. A floor is not always required for your aviary, however laying a slab is recommended with the assembly in the backyard because it provides a solid foundation to fix the Aviary to. Secure anchoring is important for your bird's safety. 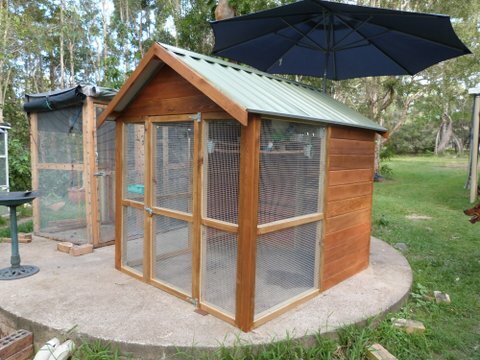 Alternatively, if you do not want to lay a concrete slab and need a floor solution you have two timber floor options with the aviaries offered at Cheap Sheds. You can find them on the product pages under "Accessories" and add one to your cart when ordering your aviary. These will come pre-cut to fit the size of your aviary. So if you need a small bird aviary or want a large bird aviary we have floor solutions for them! The timber is treated so it’s protected from mould and decay! Yvonne Russel has set up her beautiful Ranch Aviary. This is certainly a stunning aviary. Mary Parsons was given an aviary for her Birthday from the family. Pretty neat right? Marks Chooky Hilton Made the local paper! 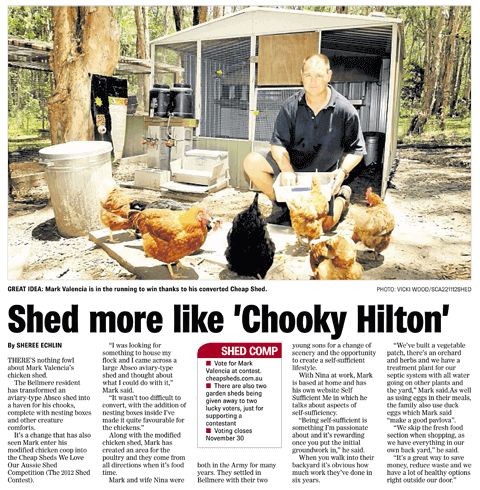 He made some alterations to create the ultimate chook pen. Alana and her husband brought an aviary for their feather family before their wedding. Peter Bracken finds peace watching his pet birds in the backyard. 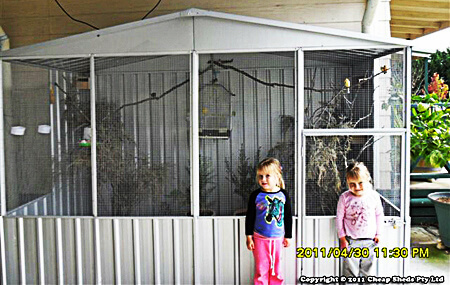 Caroyne Anson I thought I would send you a photo of the aviary I purchased from you a few week ago. It looks lovely in our backyard . 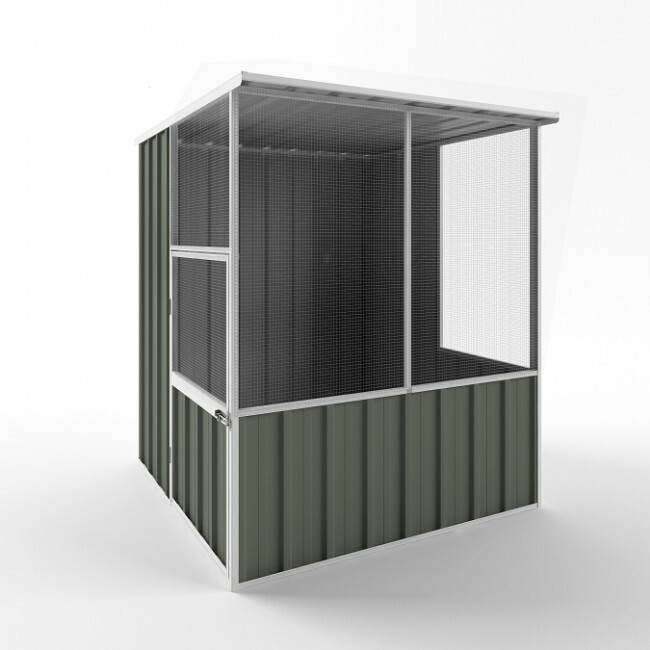 Check out the full range of aviaries at Cheap Sheds and if you have any questions or would like more information, please talk to our customer support team via email, live chat or phone. We are here to make sure you and your beloved pets feel right at home!